You have a website that is crucial to your business. It generates leads, customers, and revenue (or at least it should). It’s a channel through which customers, suppliers, potential new staff, and partners will find you and engage you. It is fundamental to the success of your business and you want it available 24/7 without interruption. Your website needs regular maintenance to ensure maximum performance. Keeping the website software and plugins up to date and tweaking things that need fixing ensures that your website always looks great. Uploading new images and adding new relevant content keeps the site looking fresh and interesting and gives your visitors a reason to come back. Keeping your website up to date, backed up, secure and consistently bringing in new leads can be a time consuming and tedious process. It takes you away from what you should be doing, which is running your business and building relationships. The technology and strategies continue to evolve and it's a full-time job to keep with all the change. Faribault Web will professionally manage your website's security and health so that you can focus on growing your business. Can I do my own WordPress updates? You certainly can update your own WordPress core files, plugins, and themes if you have the time and know-how. But please be sure to fully educate yourself on the how and why first. It’s extremely important to have a reliable and restorable backup before making any updates. There may be design features or site functionality that was built based on one version of the software, which is not compatible with an updated version. If anything goes wrong during an update, it may break your site. This is not to scare you, just a word of caution from someone who has come to the rescue of many broken websites over the years. Faribault Web takes care of many websites each month, and we keep up on industry news, we're informed as to when certain updates are critical or have known issues so we can take appropriate steps to protect our clients' websites. So, when all goes well, making updates and backups can be a straightforward task. But if you're making your own updates, it's extremely important to understand how to be prepared to recover your site if things do go wrong. Does my web host do updates and backups? Possibly, but you would need to check the details of your hosting plan to know for sure. Many (but not all) of the better web hosts do offer malware scanning and site backups. They typically do this in a "top-down" approach, where they keep their network and servers safe and backed up, and your site is one of many that is included in these batch updates. What Faribault Web offers is personalized attention. 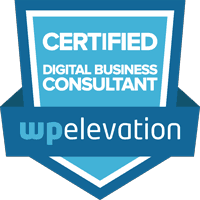 We are individually checking your website for upgrades, backups, security, and plugins updates (including premium ones). There may be certain plugins or features built into your site that need to be treated with care to make sure they don't break when updates take place. Or there may be a plugin that is no longer supported by the developers, and we can help you explore reliable alternatives. In addition to the peace of mind of knowing someone is looking out for your best interests, because we build long-term relationships with our clients, we can offer one-on-one strategy, consulting, design and content recommendations, and site features/improvements that work for their specific business needs. We can help you figure it out. Just ask! Every level offers the essential backup and security you need for your website. On top of the basics, each level offers different features like monthly reports and security, but the key difference between each level is how much dedicated time you get from us per month for updates and consulting. If you have a full-featured website, do external advertising (print or digital), have frequent news or articles to share, post regularly on social media, offer specials and promotions, organize events, and do a lot to promote your business, you will definitely benefit from the higher levels of support because we'll have more time to collaborate and develop a strategy for your website, local SEO and other efforts. What does monthly website support time include? Your monthly support time can include content updates, design, troubleshooting, and anything that we fit within your support time. Just keep in mind that requests like adding new features, creating custom graphics, writing content, and other larger tasks require a separate quote because these typically take longer than the support time included in our standard Care Plans. What is a website tune up? Checking links on your site to make sure they are working, and correcting any that are broken. If we discover problems on your website that we can't fix within the allotted 1-2 hours, we will provide an estimate with a 20% discount on our standard rate. On its own, a website tune-up for a standard business site is $300. Can you just do the security for us? Yes, if you are a current Faribault Web client and are handling all your content updates in-house, we can certainly do just a basic Maintenance Package for you. The price will range from $50-75/mo (depending on the size and features of your website) and is payable by monthly subscription. License renewal for select premium plugins. It does not include any content updates, support time, or annual tune-up services. Support time will be billed hourly rate of $125/hr. 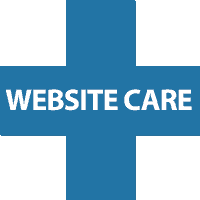 The purpose of setting up security on your website is preventative care, so it’s unlikely for your site to get hacked. But if something does happen, we will assist in the restoration and cleanup to get everything back to normal. If the hack repair requires 3rd party expertise such as Sucuri or other services, we will cover up to $250 in these costs (no more than 1x per year). What happens if I break my site? This is a common fear for clients, but don't worry, everyday type of content changes will not break your site. You may cause a formatting issue, but that's usually something we can easily fix and provide you guidance as to what to do next time. Quick fixes like this are included in any plan that includes monthly editing time. If it’s not a quick fix, we will use one of your backups to restore a saved version and get your site back up and running. If you have website requests that require more than your dedicated monthly time, we’ll let you know. Sometimes tasks can be re-prioritized, and scheduled for the following month. For larger requests, we’ll send you an estimate and get your approval before proceeding. If you have a backlog of requests or some bigger projects in mind, we’ll chat about how best to move forward, whether it’s upgrading to a higher plan (with more features, benefits, and dedicated time), or starting a separate project quote for that particular need. What are premium plugin licenses? A plugin is a tool for WordPress that adds special functionality. Faribault Web has a developer license for the premium plugins which we are authorized to use on client websites. Purchased individually, these would cost approximately $500 annually per website. If your website has specialized functionality such as a directory, store, or events calendar, there may be additional premium plugins which require a separate annual renewal.